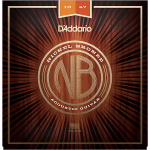 NB1047 are ideal for beginners or players who prefer a softer tone and easy bending. 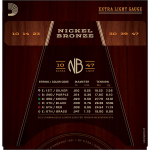 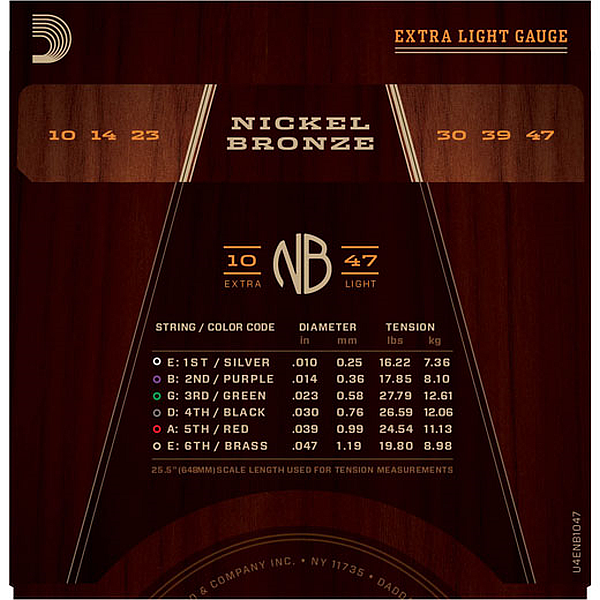 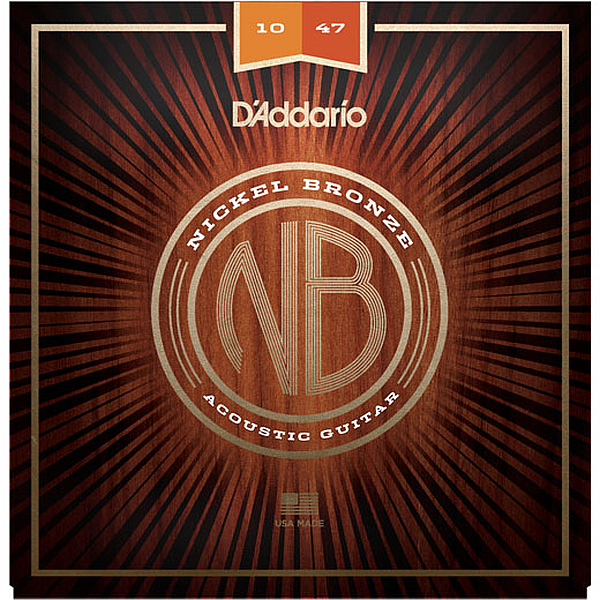 Nickel Bronze strings are the premium uncoated acoustic strings by D’Addario. 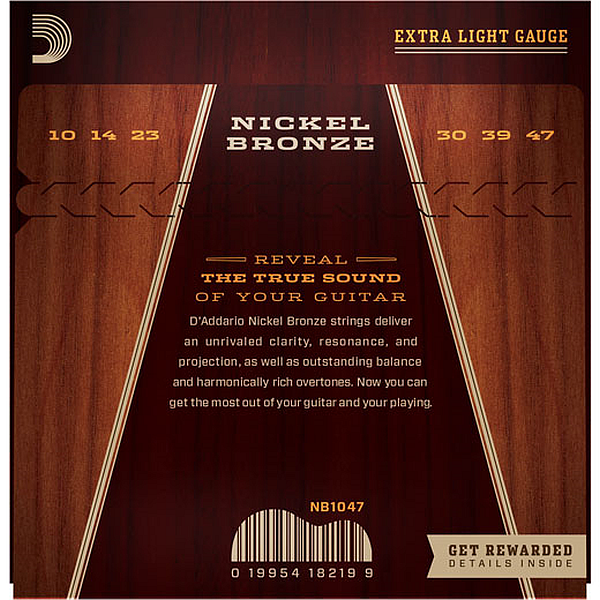 Featuring an innovative combination of nickel-plated phosphor bronze wrapped onto a high carbon NY steel core, these strings bring out the unique tonal characteristics of any guitar, allowing its natural voice to truly shine. 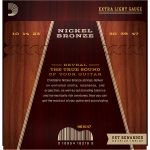 Note: Actual package design of available stock may be different from shown, as the manufacturer may change the design from time to time without prior notice.